Volkswagen is facing new accusations that top executives tried to cover up diesel emissions cheating, scuttling its bid to move beyond the scandal. 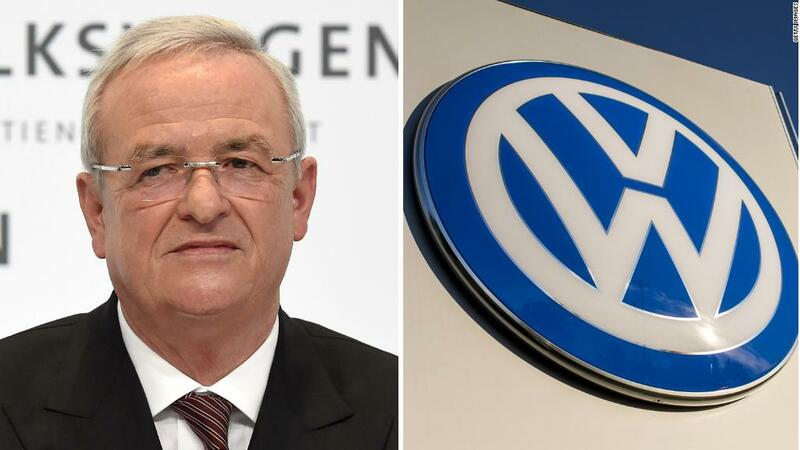 US prosecutors unsealed an indictment on Thursday that accuses former chief executive Martin Winterkorn of participating in a cover-up that extended into the top echelons of the automaker. "Volkswagen's scheme to cheat its legal requirements went all the way to the top of the company," US Attorney General Jeff Sessions said in a statement. "If you try to deceive the United States, then you will pay a heavy price." Shares in Volkswagen, a lynchpin of the German economy that employs nearly 650,000 workers, have recovered since plunging in the wake of the scandal, in which Volkswagen admitted it fitted as many as 11 million diesel vehicles worldwide with software that could cheat emissions tests. But the indictment of its former CEO raises new questions about what top managers at the world's largest carmaker knew. The US allegations challenge claims by Volkswagen (VLKAF) that senior executives were not aware of emissions cheating until late summer in 2015, and they could bolster legal actions by investors who have accused the company of keeping them in the dark. "Volkswagen could have a problem in compensating stockholders for their losses -- those cases have become more realistic," said Ferdinand Dudenhöffer, founder of the Center of Automotive Research at University of Duisburg-Essen. The US indictment alleges that Winterkorn was informed of diesel emissions cheating as early as May 2014, and again in July 2015. It accuses him of agreeing with other senior Volkswagen executives to continue the practice and to deceive US regulators. Volkswagen said in a statement Thursday that it "continues to cooperate with investigations by the Department of Justice into the conduct of individuals. It would not be appropriate to comment on individual cases." CNNMoney has contacted Winterkorn's lawyer for comment. In the aftermath of the scandal, Winterkorn apologized but denied that he had early knowledge of wrongdoing. He resigned from Volkswagen in September 2015, just days after the scandal burst into public view. Volkswagen says the decision to use software to cheat on emissions tests was made in 2006 by executives below the level of the management board. "None of the members of the board of management had, at that time and for many years to follow, knowledge of the development and implementation of this software function," the company said in its 2017 annual report. Investors have questioned that assertion in court, and a shareholder lawsuit has been filed in Germany. Stock and bondholders have also filed class actions in the United States. The cases revolve around whether Volkswagen withheld information from investors. Global claims from shareholders, excluding those in the United States and Canada, total more than $10 billion, Volkswagen has said. "Volkswagen remains of the opinion that it duly complied with its capital market obligations," the company stated in its annual report. Winterkorn, who is believed to be living in Germany, is unlikely to face extradition to the United States. But German prosecutors are also investigating the former CEO. 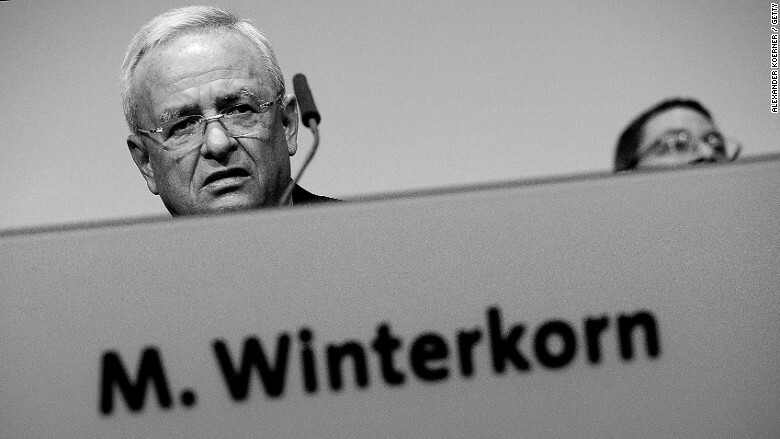 Heiner Römhild, a spokesperson for the public prosecutor in Stuttgart, said that an investigation into potential "suspicion of market manipulation" by Winterkorn is ongoing. He confirmed that prosecutors are sharing information with US authorities. "German prosecutors will be under pressure to explain to the public in the coming weeks what they plan to do about Winterkorn," said Dudenhöffer. "It could be very dramatic." Volkswagen, which has already spent over $30 billion on the diesel scandal, is part owned by the German state of Lower Saxony. Legal action by prosecutors in Germany, where the scandal has energized opponents of diesel, could have major political implications. Hours before US prosecutors announced the indictment, Volkswagen's third chief executive in less than three years was exhorting employees to behave ethically. "Every large organization experiences unethical conduct and instances of noncompliance. But to speak plainly: we clearly had too much of that going on until recently," said Herbert Diess, who replaced Matthias Mueller as Volkswagen CEO less than a month ago. "Changing this is the top priority," Diess said at the company's annual shareholder meeting. Mueller was made group CEO after Winterkorn resigned. He had previously run the group's Porsche brand. -- CNN's Nadine Schmidt contributed reporting.